During this time, he met Paul Wolff who loaned him a bicycle and introduced him to triathlons. Jabu only learnt to swim in 2002, at the age of 18. That year he completed his first Olympic distance triathlon and continued to train and take part in short races with Paul’s Development Team. he completed his first full IRONMAN. From then, the IRONMAN bug bit hard. To date, Jabu has raced in 10 full IRONMAN SA events as well as Wales and Austria, his best time being at this year’s IRONMAN SA with a time of 10:23. 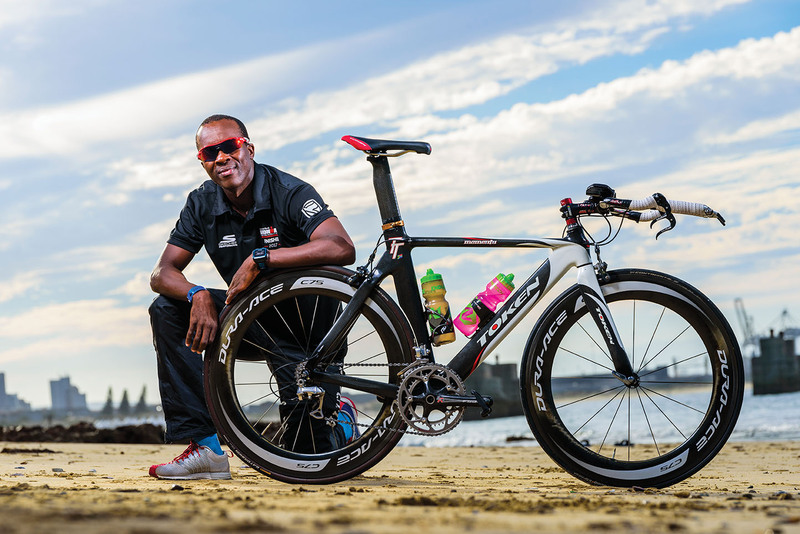 Jabu has raced in eight 70.3 IRONMAN SA events. One of his career highlights includes finishing 70.3 IRONMAN Buffalo City in 05:01 in 2008, and qualifying for the 70.3 World Champs in Clearwater, Florida. His biggest goal, of course, is to compete at Kona, and he believes that with the help of his coach Raynard Tissink, he’ll stand a chance to compete for a slot in the 70.3 World Champs in Nelson Mandela Bay in 2018.